Final Hours of the Sectaurs Kickstarter, Stretch Goals Met! With just a few hours left to go, the Sectaurs Kickstarter by ZICA Toys, has not only been fully funded, but has hit the $50,000 Stretch Goal to unlock the Skull Soldier and the Royal Guard figures! 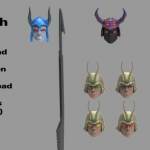 They have also added additional items to the new Stretch Goal figures. After ten long months of reveals the Sectaurs Kickstarter is finally here! 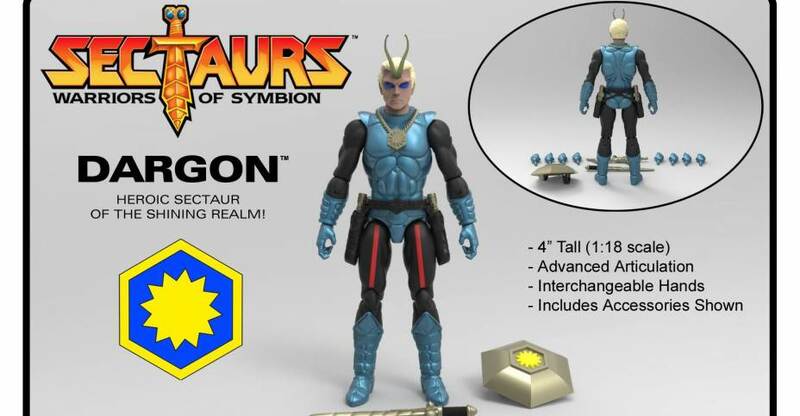 Thanks to an unbelievable opportunity given to us by the series creators, ZICA Toys is bringing Sectaurs back to the world of action figures. Instead of sticking with the larger scale of the original vintage line, we’re going with the smaller 1/18 scale (4″) that’s becoming more and more popular with modern action figure collectors. 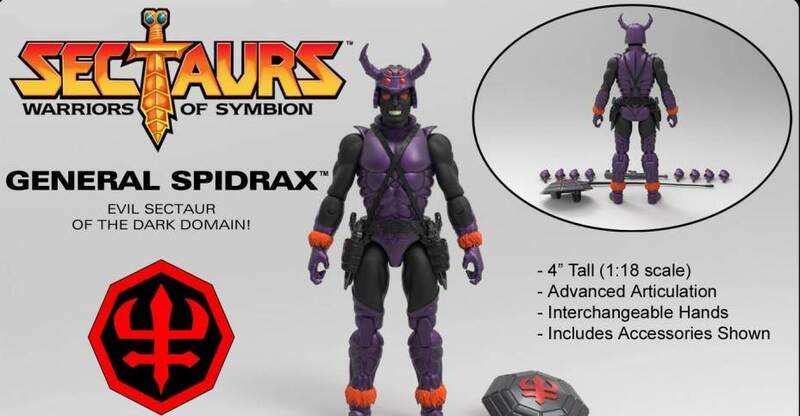 The first two figures that will be offered in the line are Dargon and General Spidrax, the main hero and villain of the series. Both come with updated versions of their original accessory pieces from the vintage line, plus four extra sets of interchangeable hands which offer a wider variety of display options. The figures will be packaged on a 6″ x 9″ blister card with character specific artwork. If you would like to pledge to the Kickstarter, you can do so by Clicking Here. Hurry, time is running out. With five days left to go, the Sectaurs Kickstarter by ZICA Toys has been fully funded. Currently sitting close to $42,000, fans can now focus on unlocking the newly added stretch goals. If they hit $50,000, it will unlock the Skull Soldier and the Royal Guard figures. Backers will also have access to a discounted5-pack of each figure, perfect for troop building soldiers. If you would like to pledge to the Kickstarter, you can do so by Clicking Here. Check out photos of the two stretch goal figures after the jump. With less than a week to go, the Sectaurs Kickstarter by ZICA Toys is extremely close to being fully funded. They are less than $500 away from their goal of $40,000! To keep fans updated, they have revealed the cart art design for Dargon, with art by Eamon O’Donoghue. The figure will sit inside a plastic blister that is permanently attached to the card, which means you’ll have to cut the plastic to remove the figure. IF you’d like to back the Sectaurs Kickstarter, you can do so by Clicking Here. Two more figures have been added to the Sectaurs Kickstarter, bringing the total for Wave 1 to four figures. The newest additions are Mantor and Zak. 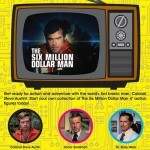 The crowdfunding campaign appears to be going well, and looks like it should be fully funded well before the deadline. The campaign has over 3 weeks left, and is currently just under $30,000 pledged, with a total of $40,000 needed for the series to move forward. Check out the images after the jump. 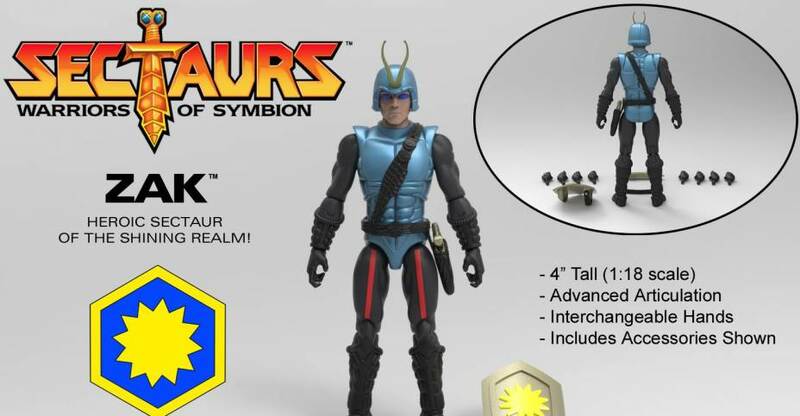 The Sectaurs revival from ZICA Toys is now live on Kickstarter. They have been teasing and previewing this revival for nearly a full year, and fans can finally start to back the project. They are starting with two figures, Dargon and General Spidrax. The new line will be roughly 4″ scale and include multiple interchangeable parts. No insects are included at this time. They are currently in need of $40,000 for the Kickstarter to be funded. If you’d like to pledge, you can do so by Clicking Here. Check out some details below and read on for an assortment of preview images of the upcoming figures. Entertainment Earth has sent along the figures and we have a gallery to check out. After the jump you can see the images and my thoughts on the figures. 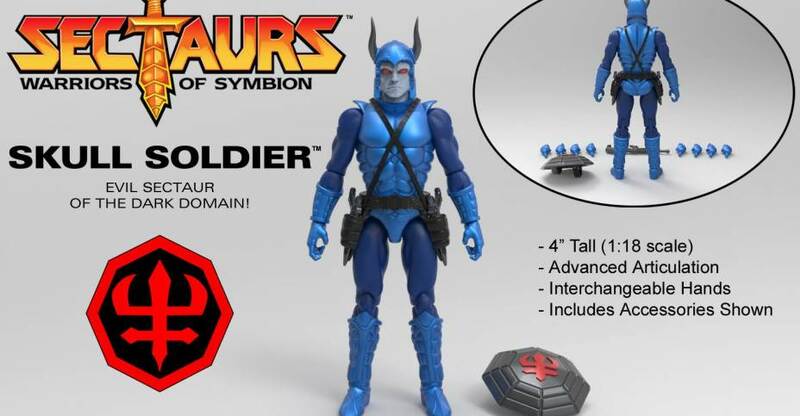 Boss Fight Studios announced around SDCC that they will be doing a Captain Action in their 3.75/4 inch figure style for Zica Toys. Zica has shown off the first full hard resin prototype of that figure. We’ve also collected previous concept art for Captain Action and his vehicle the Silver Streak, Action Boy, Lady Action and Dr. Evil, theoretically all coming if things go well. G.I. 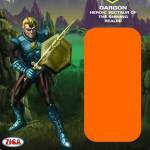 Joe may be on time out, but there is a nice wave of high quality 3.75 figures dropping from multiple sources lately – Power Lords from Four Horsemen, Boss Fight‘s V-Hacks, Marauder‘s Task Force, Venture Brothers and Twilight Zone from Bif Bang Pow, Multiverse from Mattel, and of course Hasbro‘s Infinite waves. Hopefully the independents and smaller licenses can continue this trend and fill in our 3.75 shelves with stuff like these Captain Action figures, and hopefully with Boss Fight sculpts! Check em out after the break!